Every June in cities across the country, revelers parade through the streets bearing rainbow banners in celebration of LGBT pride. 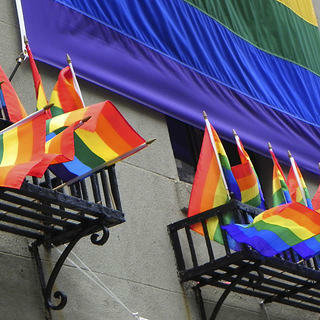 The conversation that sometimes gets lost amid the festivities, however, is the true reason behind Pride: the commemoration of the 1969 Stonewall Riots in New York City's Greenwich Village, a major moment in the gay civil rights movement. LGBT (which stands for lesbian, gay, bisexual, and transgender) history has many places, events, and people connected to it, yet these sites and voices are not always recognized or preserved. We are striving to weave more of these important threads into our cultural narrative, starting with the diverse stories below. LGBT History The Gay Way: History of Lesbian Bars in Southeast Washington, D.C.